Today I have a special guest for you. 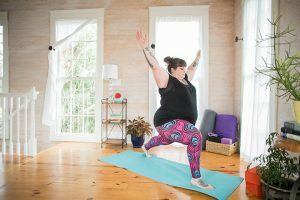 Amber Karnes from Body Positive Yoga. Amber offers accessible yoga that allows you to make peace with your body and be happy in the body you have today. 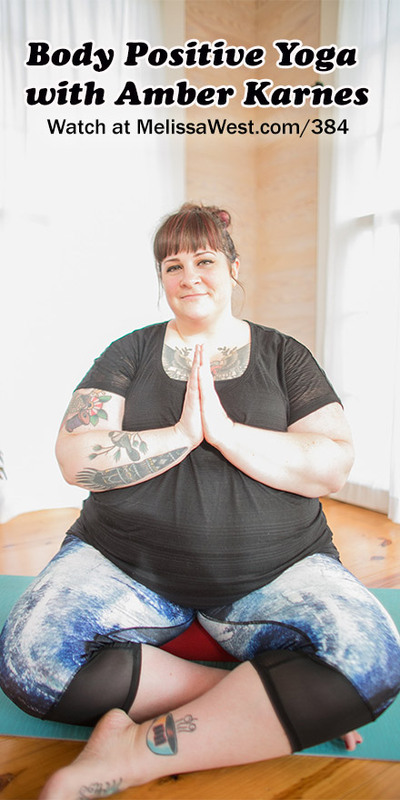 I love Amber’s message of fully inhabiting your body without shame or apology and so I know you are going to love this yoga class that she has created just for us here at Yoga with Melissa. Do you feel like yoga isn’t for your body? Let’s explore some common yoga poses using props for more freedom and expansion! This body-positive yoga class begins with mindful flows using the chair as a prop, progresses into strengthening standing poses, and leaves you with a backbend, twist, and a relaxing savasana. You will need a chair without arms, two blocks, and a strap for this class.